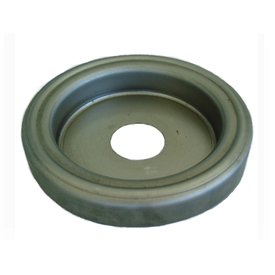 This kind of OEM sheet metal stamping part was made of mild steel. The main process is deep drawn for several times. The standard packaging is by carton box with wooden pallet. Any OEM sheet metal stamping product is welcomed. Note: We manufacture metal parts in compliance with customer's design. The products are shown here only to present the scope of our manufacturing activities, and are not for sale..